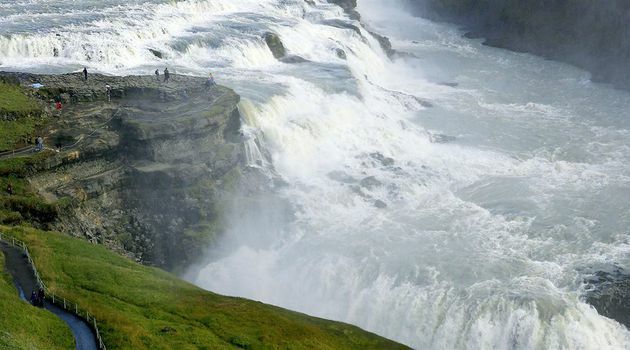 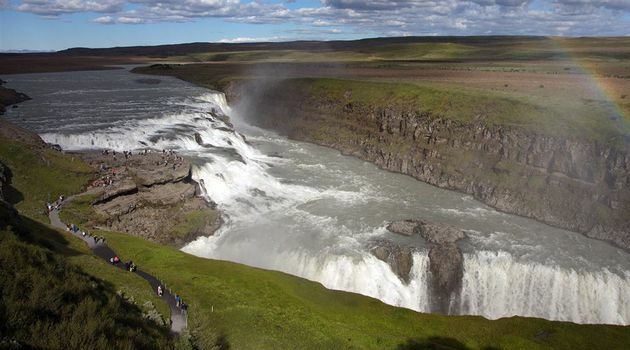 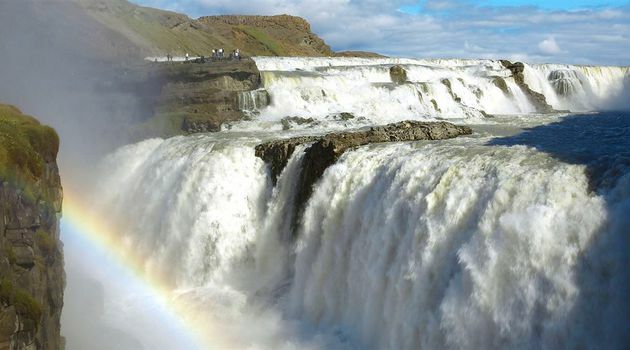 The visit continues with Gullfoss (Golden Falls) waterfall, created by the river Hvítá, which tumbles and plunges into a crevice some 32 m (105 ft.) deep. 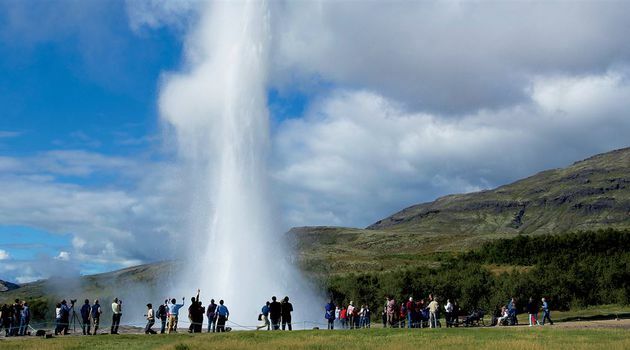 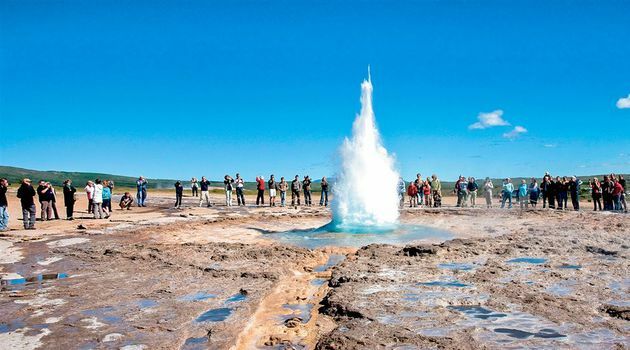 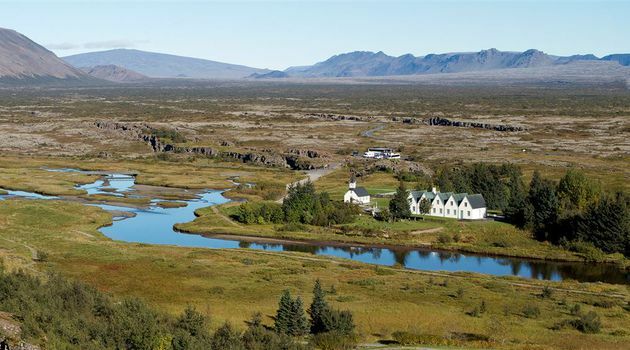 The Golden Circle tour also includes the historical and geological wonder that is Thingvellir National Park, where the American and Eurasian tectonic plates are pulling apart at a rate of a few centimetres per year. 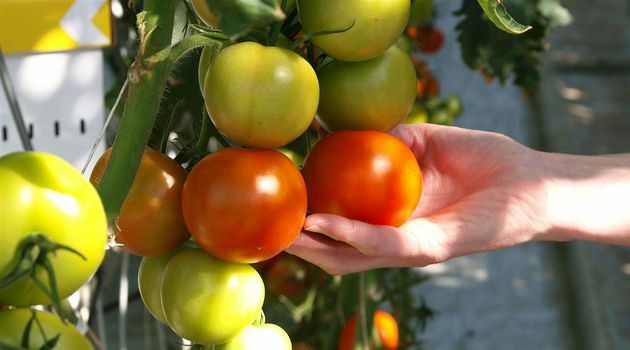 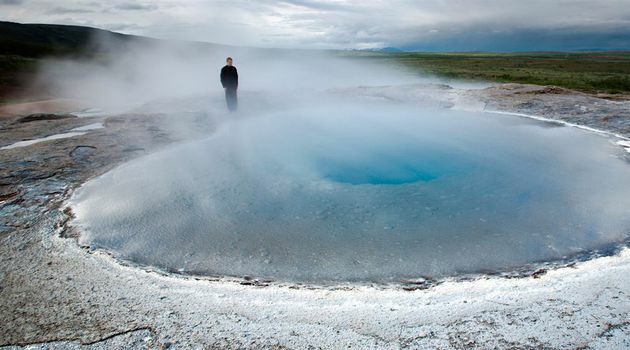 Additionally, the tour includes a visit to the idyllic Friðheimar greenhouse cultivation centre, where you can learn about the magic behind growing delicious, pesticide-free tomatoes and cucumbers with the aid of the geothermal heat that Iceland has in abundance.